Eat Your City: Homemade Spinach Pasta - easy peasy recipe for making pasta from scratch! 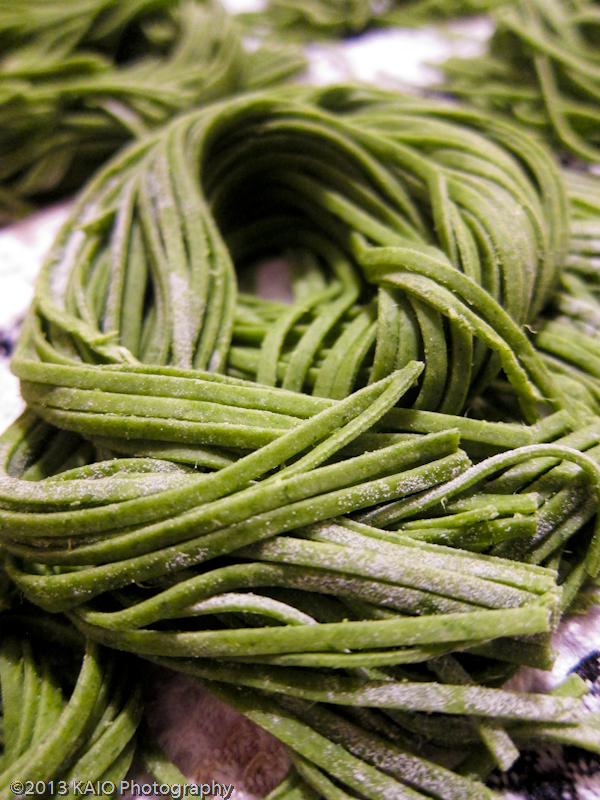 I've been graciously asked to do a fun little post on making pasta. 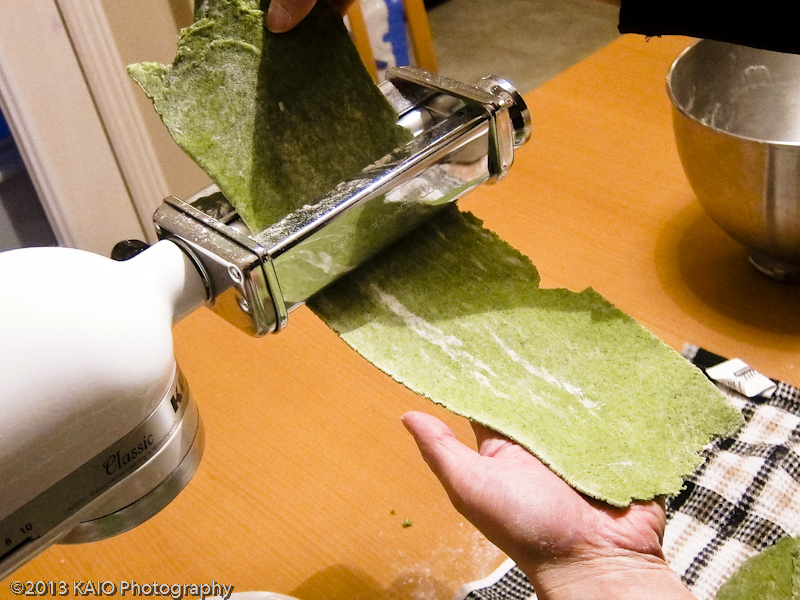 Up until last month, I thought making home made pasta was only for professionals, until I got a Kitchenaid mixer and found all the fun "attachments" that can go with it. One of which one is the pasta maker attachment. This was my first time making spinach spaghetti, and it's actually easy and quite the experience! Pics done by the talented folks at Kaio Photography! 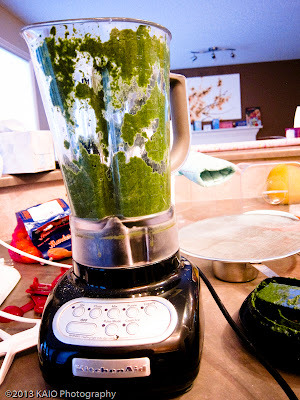 First, you have to drain frozen spinach and then blend it. This part was a bit tricky because I didn't have a food processor or grinder, and the blender doesn't blend small amounts of food that well. I added the 4 eggs and it did the trick! Sadida uses a KitchenAid mixer (KitchenAid Artisan 5-Quart Stand Mixer ) which has neat attachments you can add on that becomes really important later on (and they fit on the KitchenAid Pro 600 Stand Mixer too!)... Mix with flour, 2 minutes with the beater, then switch to the dough hook. That should help make it more like a lump of dough. Quite dry, but will stick together when pressed. Don't worry, it will become more pliable once the dough goes through the rollers. 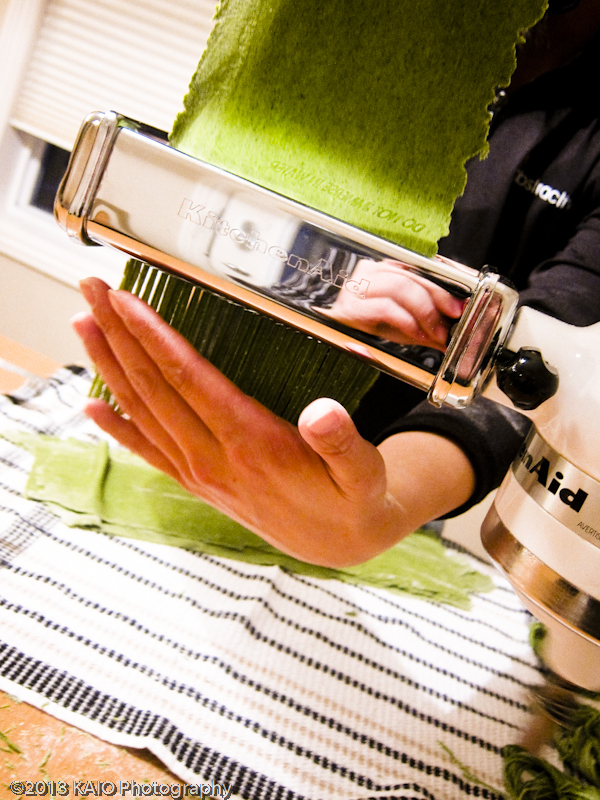 Attach the pasta attachment onto the mixer (KitchenAid® Pasta Roller Attachment ) Divide into small pieces and run it through the pasta roller. Run it through a few times and in different settings until you reach your desired thickness. As you can see, it is quite easy for one person to do all of this. Switch to your desired cutter attachment (in my box I had the fettuccine and spaghetti attachment), I chose the spaghetti attachment, and run your flattened strips of dough through the roller. EASY! My 2 1/2 year old daughter calls this as "Mommy playing with play-doh"!! 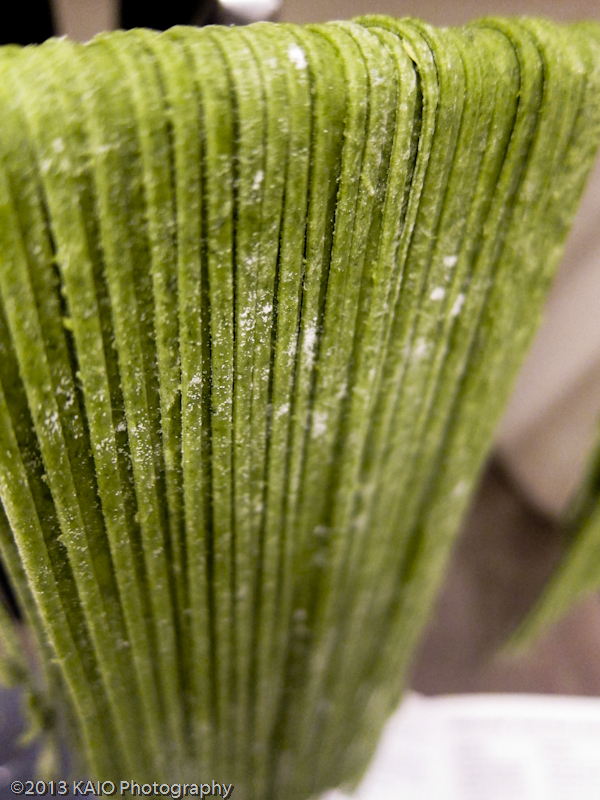 You can dry your pasta by hanging it on a pasta dryer, or if you don't own one, a metal coat racks with plastic wrap around works well too. Or bunch it up into small circular nests. My favourite way of storing it is freezing instead of drying. Drying takes up a lot of space, while freezing the small nests in large ziplock bags is quick and keeps the pasta tasting fresh. You don't need to defrost, just throw it into hot water for around 3-5 minutes, depending on how you like your pasta, and your pasta is ready! Load it up with some ham, onion, and red pepper alfredo sauce and we have a yummy meal! Or "green grass!" as my toddler would call it. This is a wonderful way to get your greens in, I used an entire package of frozen spinach and my family gobbled it up! 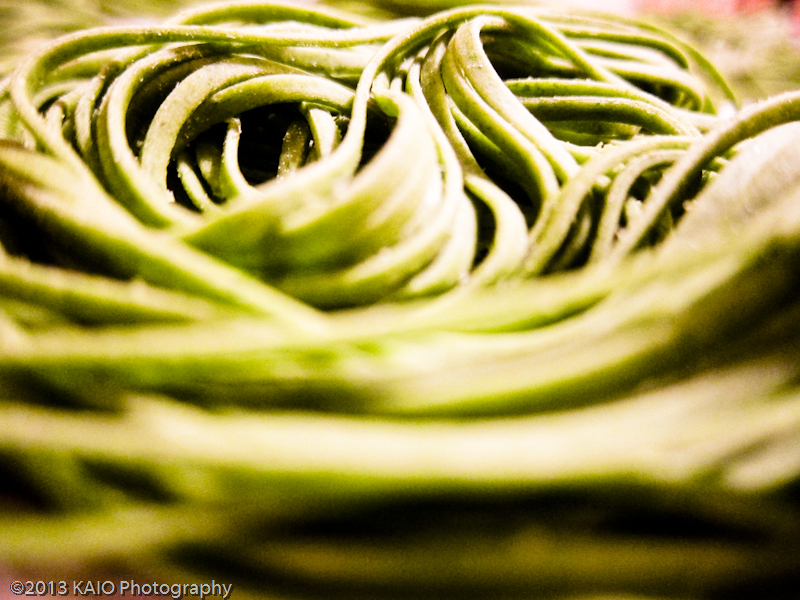 You can make all sorts of shapes and pastas using the full Kitchenaid Pasta Attachment set! 1. 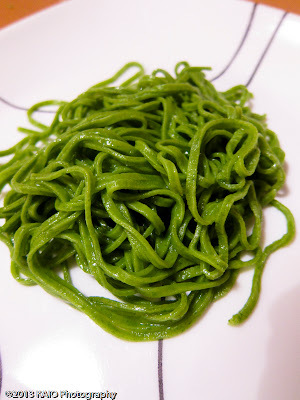 Place spinach in a towel and wring out all the water until spinach feels very dry. 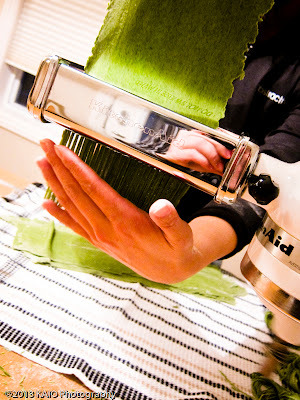 Finely chop spinach using a food grinder attachment, food processor or blender. 2. 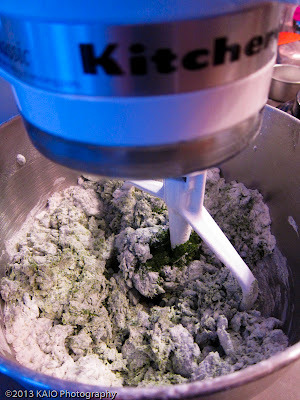 Place chopped spinach, water, eggs, and flour in mixer bowl. Attach bowl and flat beater. Turn to Speed 2 and mix 30 seconds. 3. Exchange flat beater for dough hook. Turn to Speed 2 and knead 2 minutes. 4. 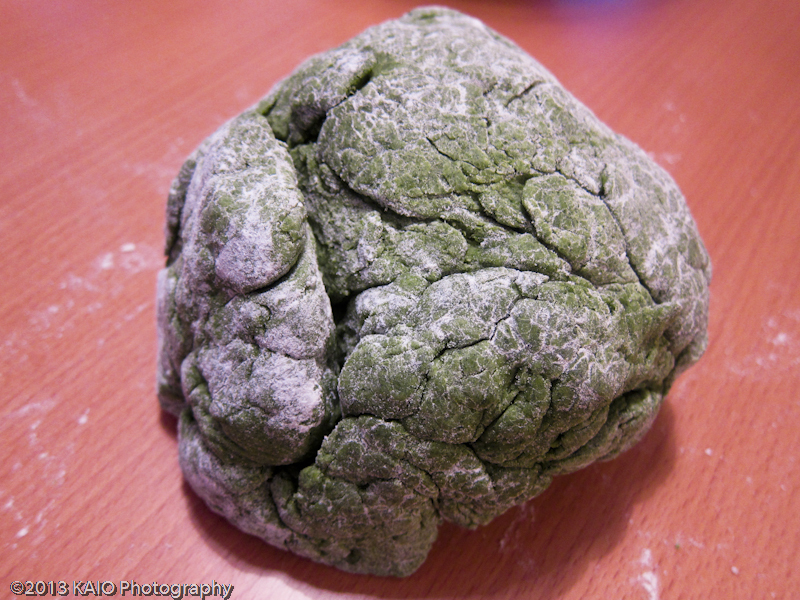 Remove dough from bowl and hand knead for 1 to 2 minutes. 5. Divide dough into eight pieces before processing with Pasta Sheet Roller attachment. 1. 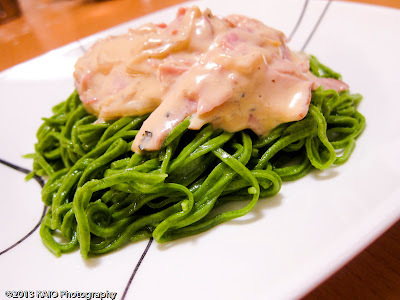 Add 2 teaspoons salt and 1 tablespoon oil (optional) to 6 quarts boiling water. 3. Drain in a colander. Thanks Sophia! Glad you're enjoying :) I have been on a hiatus since Sept 2015 as its been super crazy busy with work, family and travelling... but I will endeavor to make some time to post new posts on recipes and travels soon!